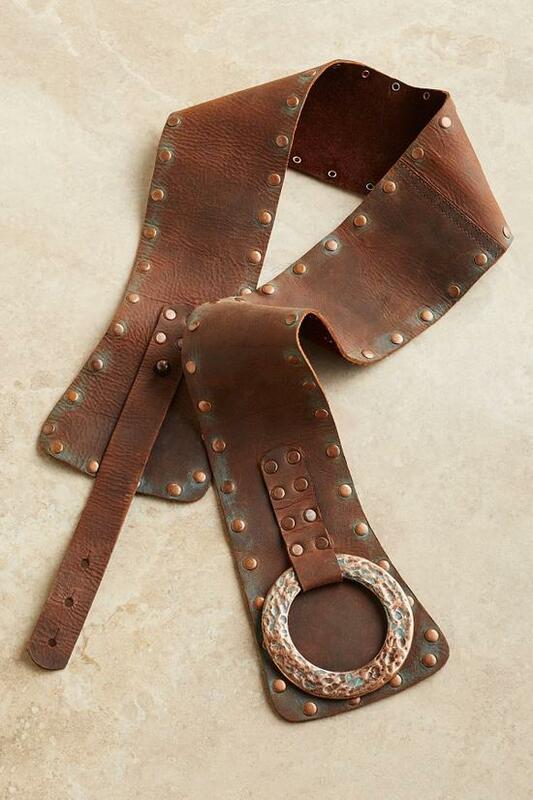 Rich distressed leather belt has the appealing aged look of vintage patina, highlighted with a textural hammered copper-ring buckle and studs. A chic and contemporary Southwestern inspiration to wear at the waist or slung over hips. Brown.